I’m sure there are some here who’ve struggled or are struggling, and I’ve been talking to a lot of patients and one of the things they’ve told me is that they don’t know how to menu plan or make a shopping list…they don’t know how to use my friend, the grocery store ad. So my question for you, and it’s a question you can ask yourself is, HOW DID YOU GET TO THE DARK SIDE? I think these are some valid points. And there could be other issues. We could have people in our lives who are food saboteurs and they just sabotage what we’re doing. So the bottom line is we need to know what’s going on with us. And I don’t have the answers to fix at all, but we can talk about it. ...Even people who’ve had surgery, they think they’re ready to change and they may not necessarily be ready. -Do not shop hungry. Have water with you. WHY IS MENU PLANNING SO IMPORTANT? Click here and check out free menu planning worksheets, pick one that works best for you. Click here and check out free shopping list worksheets, pick what works for you. So it’s some food for thought, some meal plans and grocery lists to play with, and maybe these can get you stepping in a direction that’s a little easier for you. Hang the shopping list on your fridge and look at the ads when they come out…if you can plan your menu and make your grocery list and cook by your menu…and it’s a pretty healthy meal, make sure you also watch your portions. And remember our brain is a whole lot mightier than our little stomachs, so guess what has to be mightier? 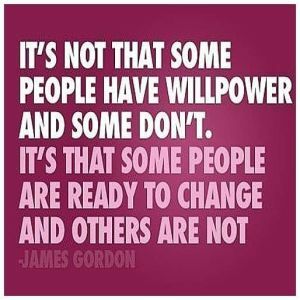 Our willpower.